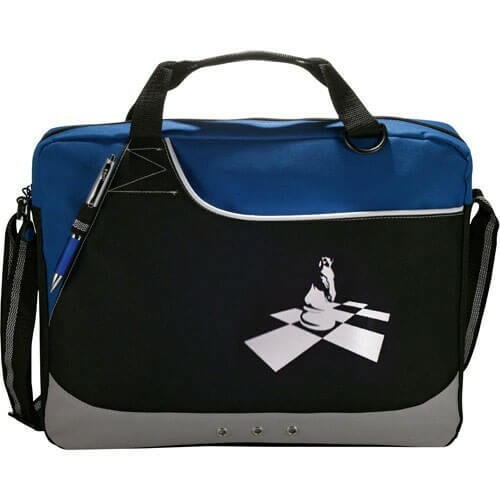 The Deluxe Daybrief Bag is designed for carrying all of your chess books and accessories. It measures 15.5" x 12.5", has a contemporary knight graphic and has both a shoulder strap and two reinforced nylon handles for easy transport. It features a large zippered main compartment, a front Velcro pocket and two pen loops.